Can these bags be recycled with ♴ or ♶ plastic film in the US? Jumping into this late but I couldn't help it because this is what I do for a living (guide major corporations on recycling). The mark you have simply means that the bag is plastic (it's not identifying which type). As mentioned above, it's the same as SPI codes (the numbers in the chasing arrows). No fee is paid to any organization for use of this code. It's just to help recyclers identify what material they're receiving. Unfortunately because they didn't call out what type it was, it's not completely knowable. However, plastic bags are generally made with PE (polyethene, either LDPE or HDPE (the LD and HD refer to density levels)). Either way, you can place it in a proper recycling stream (either at a retail location or at a transfer station) and the recyclers can chose to keep it or weed it out. The symbol you posted (and similar recycling symbols all around the world) could only mean, that some kind of ecological charge was paid by manufacturer and that money is on the other hand given to recycling companies. Nothing else. Some of them does cooperate worldwide and sending/receiving money if the packaging materials are exported/imported, some does not. 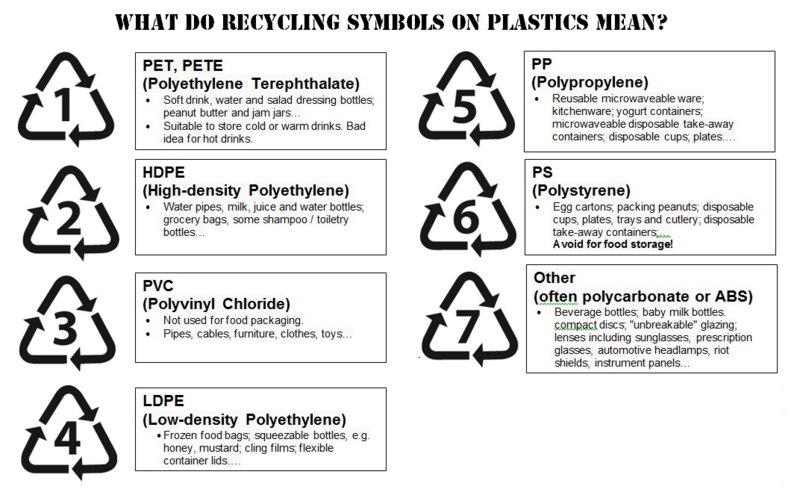 but the symbol definitely does not say anything about the material form which the plastic bags are made of. 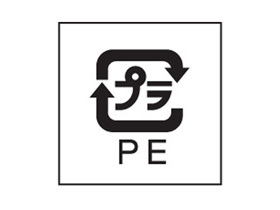 From wikipedia (https://en.wikipedia.org/wiki/Japanese_recycling_symbols), this symbol is "Recyclable plastic", usually used with letters bellow depend on plastic type. As is on the picture below. Actually, you have to decide by yourself if this plastic is possible to recycle, based on the material which it is made from. Usually plastic bags are from some type of polyethylene, so probably it is possible to recycle it in US as well. It is plastic as any other, does not matter if the US symbol is missing. In Japan they are recycling plastics similarly as in any other country. For recycling different materials/different plastics it is necessary to always distinguish the material from which it is made from, not if the ecological charge was paid and where. the numbers and the letters, if used, seems to be the same in whole world.